Season 1 of Bungo was amazing with its weird but wonderful characters and storyline, minus the part where Nakajima Atsushi was able to improve his combat skills without warning. It's still a jump in the story that annoys me. That's all in the past; it's time for Season 2. I had high hopes for Season 2 after loving Season 1, and it was quite surprising how it began. 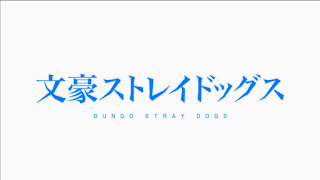 Slower than Season 1, the episodes unravel an area of Bungo that we (those who haven't read the manga at least) have been wanting to know about since Season 1: Dazai's origins. Well, his life before the Agency. We do find out at one point that he was part of the Port Mafia, but now what his position was, how he worked and what made him turn from bad to good. It's a pretty interesting and emotional arc with some new and familiar faces showing up, tying up loose ends as to why certain characters are as they were back in Season 1, and adding some more depth to Dazai's character emotion wise I guess. He was always a lovable character in Season 1 with his playful yet suicidal nature, but his past adds a more serious and emotional element to him that we didn't really get to see. Also it shows just how influential he was in the Port Mafia. After seeing this new side of Dazai, we get to see what's happening in the present. Season 2 is basically a straight continuation from Season 1, with the addition of the Guild. This makes things much more serious and dramatic in Bungo Stray Dogs with the twists that come our way, as it's now become a three-way war between them, the Agency and Port Mafia. More characters do make their way into the story of course with their abilities and traits which are pretty interesting, but overall it was kind of a mixed reaction for me as it was a nice breather from everyone in the Port Mafia and Agency, but then I kind of wanted to see Akutagawa, Atsushi and co.
Reading all this, you think that Season 2 is just overwhelmed with new plots and characters, but fear not. Everything is delivered very well, just that it all went slower than Season 1. 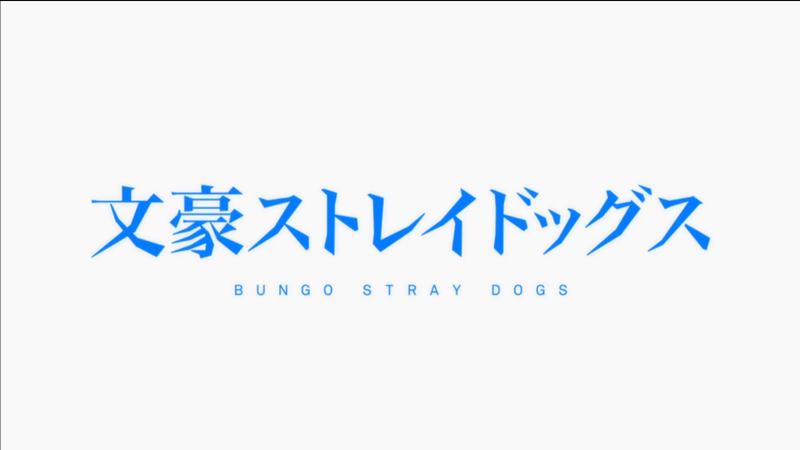 I ended up dropping Bungo Stray Dogs for a while before going back and finishing it off, but after going through 3 or 4 episodes, things do speed up again with progression and the battle scenes. The latter does not fail to impress, except again Atsushi somehow ends up improving his skills somehow. Don't get me wrong; battles were impressive, just that I didn't like the jump in his combat skills. Guess that'll never be explained. Bungo Stray Dogs Season 2 brings us a sense of completion story and character wise. The battle scenes hit the bar set by those back in Season 1, but my only issue is that, quality wise, Season 2 did not grab my attention as well as Season 2. Season 1 got me hooked, and I sort of binge watched it all while Season 2 aired. My expectations were high for Season 2, but the fact that it sort of dragged for me to the point that I dropped it for a while without feeling bad about it is the reason why I prefer Season 2 over Season 1. It does pick up again a few episodes later, but you do have to go through those 3 or 4 episodes in order to understand what's going on. Then again, I'm reviewing this based on what I remember of Season 2 from a few months ago. I'll say go for Season 2 for some more depth and action, but for me I preferred Season 1 over Season 2.